Separate the dried corn husks and put them in a big bowl. Soak the husks in enough boiling water to cover them completely. Let them soak for at least 30 minutes. Take the husks out of the water and dry them with kitchen towels. 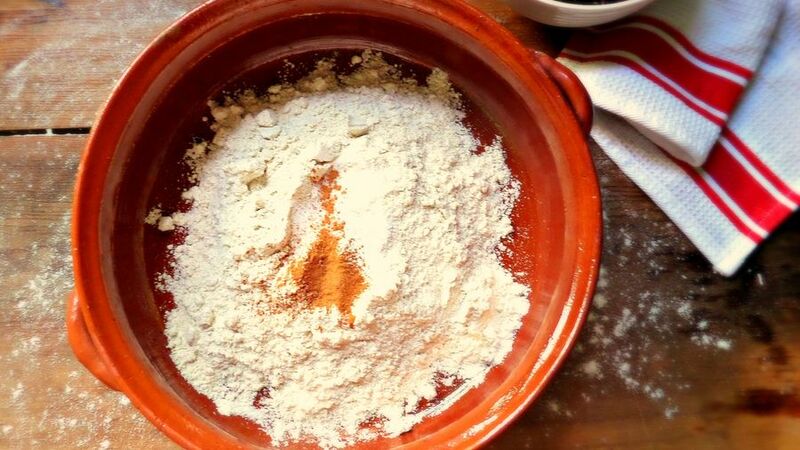 In a small bowl, mix the harina masa with baking powder and salt. Blend the strawberries and milk until the strawberries are completely blended. Whip the butter and sugar with a mixer on medium speed for 2 to 3 minutes until it’s soft and fluffy. Add the harina masa mix, whipping until it’s completely mixed and has a sandy texture. Add the strawberries and keep whipping for a minute. 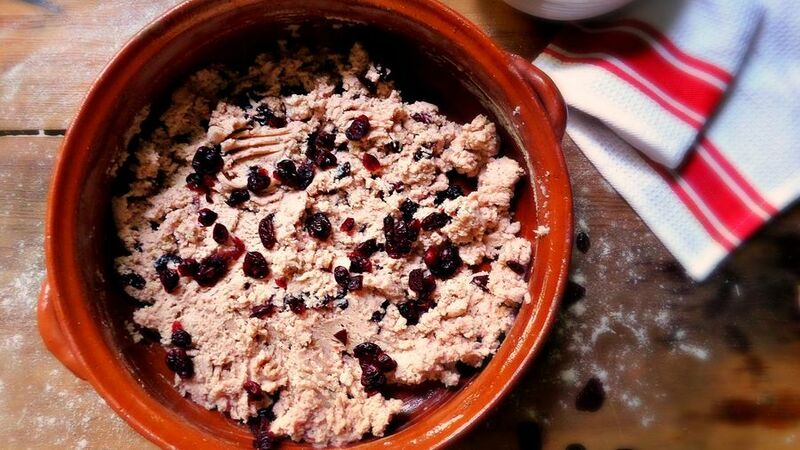 Add the dried blueberries and cover them with the mix. Add a few drops of pink or red food dye if you want a more intense color. Fill a food steamer with water until it reaches the rack. Put 6 husks on the rack. 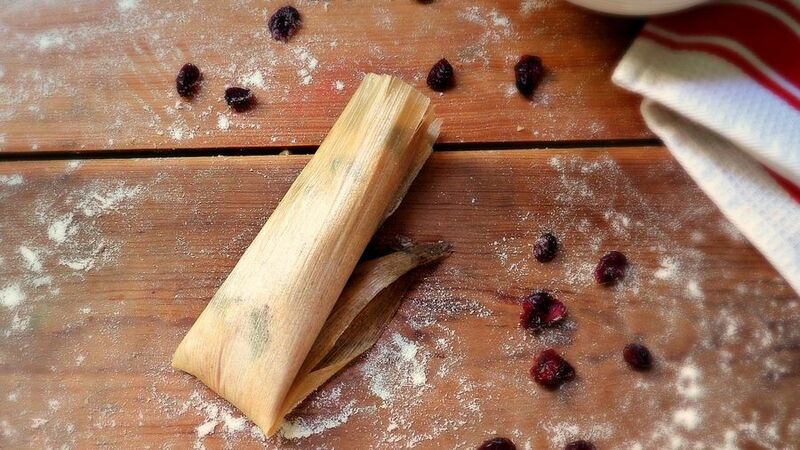 To make the tamales, take a big corn husk, with the widest part up. Put 3 tablespoons of dough in the middle of the husk, leaving 1/4" free at the top and at least 3” free at the bottom. Roll up the tamale, folding it in half twice. Fold the bottom of each tamale upwards. Place the tamales upright, with the wide side down in the vaporer. Cover the vaporer. Put the pot over high heat until the water starts boiling. Boil the tamales for 5 minutes. 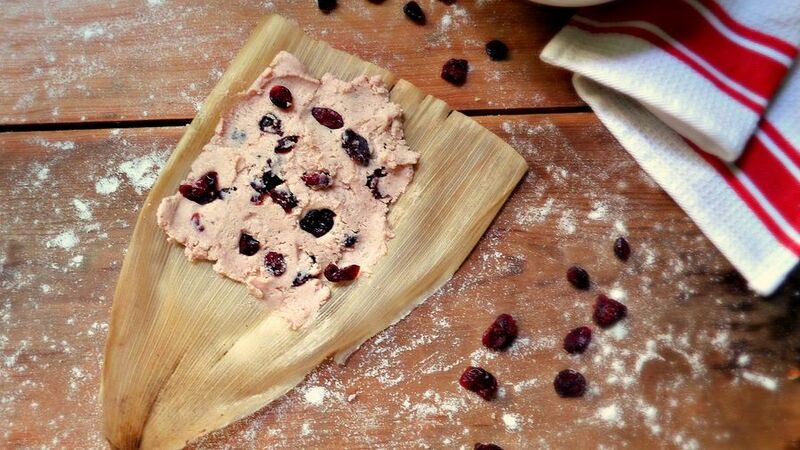 Turn the heat down and cook the tamales over low heat for 45 to 60 minutes, adding more water if necessary, until the dough becomes fluffy. Let the tamales cool down for 10 minutes before serving. 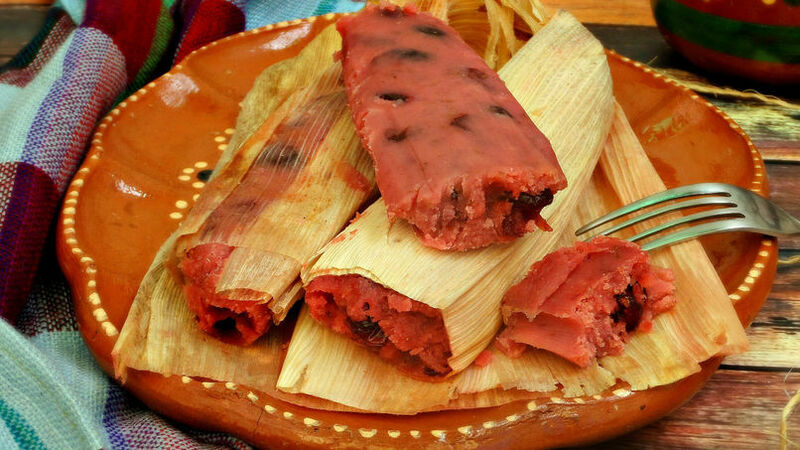 If you want the tamales to have a stronger strawberry flavor, stuff each tamale with 1 tablespoon of strawberry jam before rolling them up.